This article explains how to get the label template to automatically connect to the database. When the label is opened in CODESOFT, it does not connect to any database queries. If a database is used, the user needs to connect it. There is a setting in CODESOFT, not the default, that will make any label opened automatically connect to the default database connection for that label. 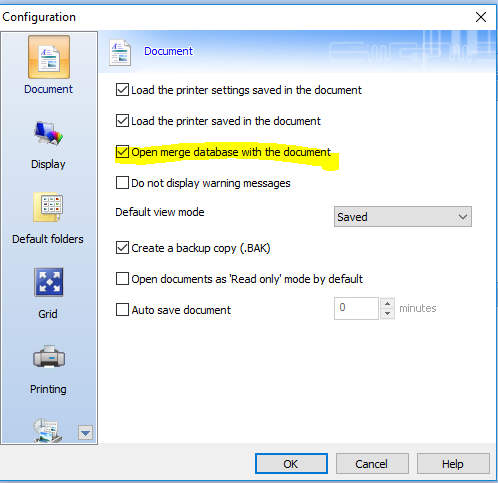 The setting is called “Open merge database with document” and can be found on the Configuration selection in the Tools menu.